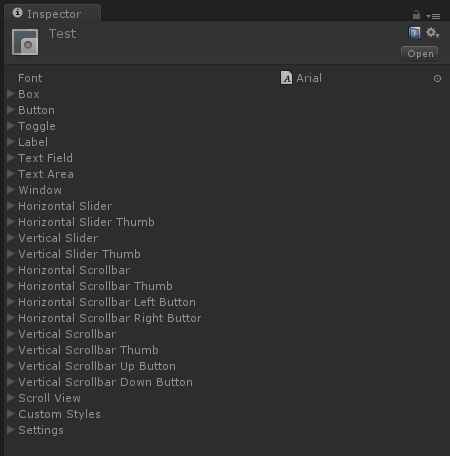 Unity has an awesome feature called GUISkin. 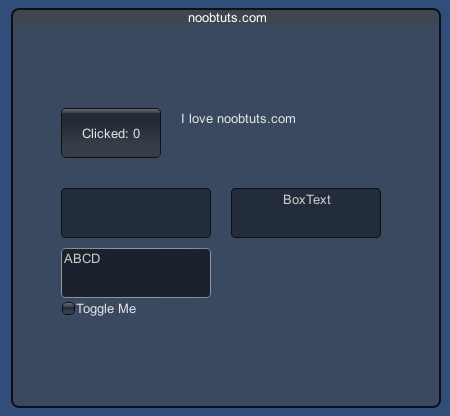 It allows us to customize the way that our GUI elements look, without touching our code at all. This article will explain the Skin system and show how powerful it really is. To give the whole thing a much better visual style, we will open the Asset Store in Unity (Window->Asset Store) and download (for example) the Necromancer GUI (just type it into the search bar). After the download was finished, we press Import so the whole thing is copied into our project, which will give us a new folder called Necromancer GUI in our Project area in Unity. Before we can use the skin, we have to do one little adjustment to our script. Unity has a GUI.skin variable that sets the Skin, which then changes the way that everything else looks. 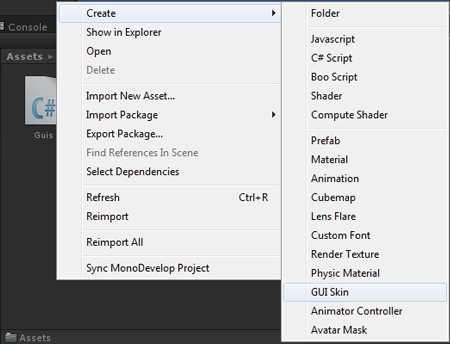 Per default the GUI.skin variable is null, which tells Unity to use the default skin. If we press play, it looks exactly as before, because the myskin variable is still null (the default skin). Now all we have to do is drag the NecromancerGUI skin file from the Project area into the myskin variable in our Inspector. A beautiful RPG style GUI, just by dragging something into some public variable. How can anyone not love Unity? After adjusting colors, fonts and background pictures, all we have to do is drag it into our public myskin variable to see it in action. We just learned another powerful and yet incredibly simple Unity feature. GUISkin makes it possible to use the same script for GUIs in all kinds of different genres, just by changing a little public variable. Note: it's usually a good idea to have the public GUISkin myskin variable in each GUI script.